Antigen Discovery Inc. (ADI) is a project-oriented company and offers full service for your immune-profiling research projects. Starting with support in study design and funding application, through screening of your samples, bioinformatical analysis and publication of results, ADI can play a role in each stage of your project. 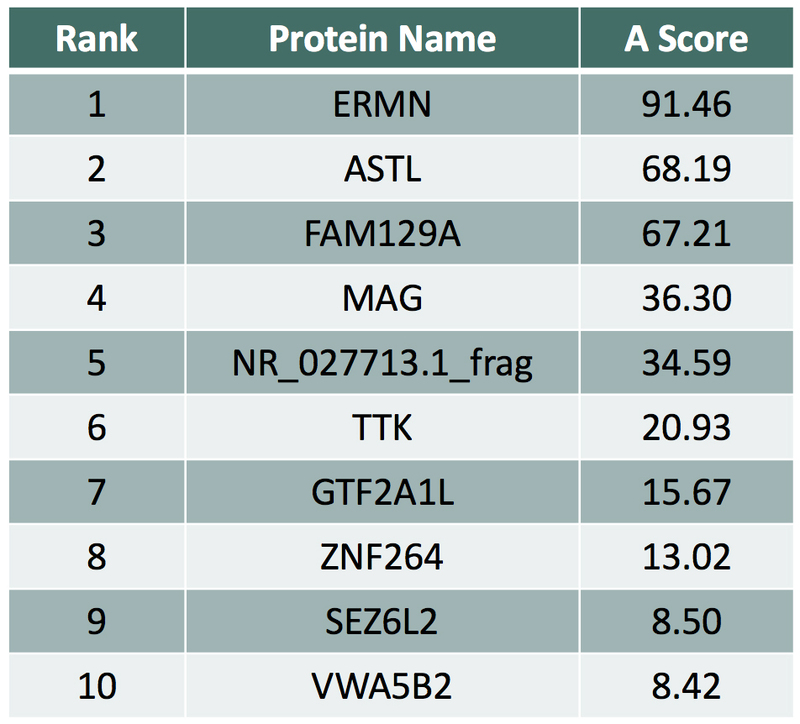 Proteome Screening: ADI’s novel approach eases the R&D bottleneck and drastically decreases the time required to perform proteome-wide antigen screening by eliminating the time-consuming steps involved in traditional cloning, protein expression and screening methodologies. Our flexible and robust microarray platform enables the identification of vaccine candidates, therapeutic antibody targets and diagnostic biomarkers. Additionally, the microarrays can be used to profile immune responses to therapy or immunization and for epidemiological screening studies. Our experience includes screening more than 60,000 antigens and identifying over 2,000 patented novel biomarkers. ADI proteomic screening and antigen identification compresses year’s worth of work into weeks. Figure: This figure illustrates the project stages and the steps in which ADI can provide support and services. From the earliest planning stages of your project an ADI Project Manager (PM) will work closely with you to assist with contract development including a clear timeline with milestones and deliverables. The PM will assist you with documentation (MTA/CDA/CRADA/DTAs), arranging for sample shipment, and developing a clearly defined data sharing plan before experiments begin. Our proteome-wide antigen screening allows you to investigate antibody responses in your samples from vaccinated, infected, drug treatments or in immunocompromised or autoimmune patients. Find more information about the various applications here. Our robust platform has the flexibility to adjust to the goal and requirements of your project, as we offer protein microarrays from the full proteome scale to down-selected partial proteome arrays to fit your needs. Browse here our readily available proteome collections. 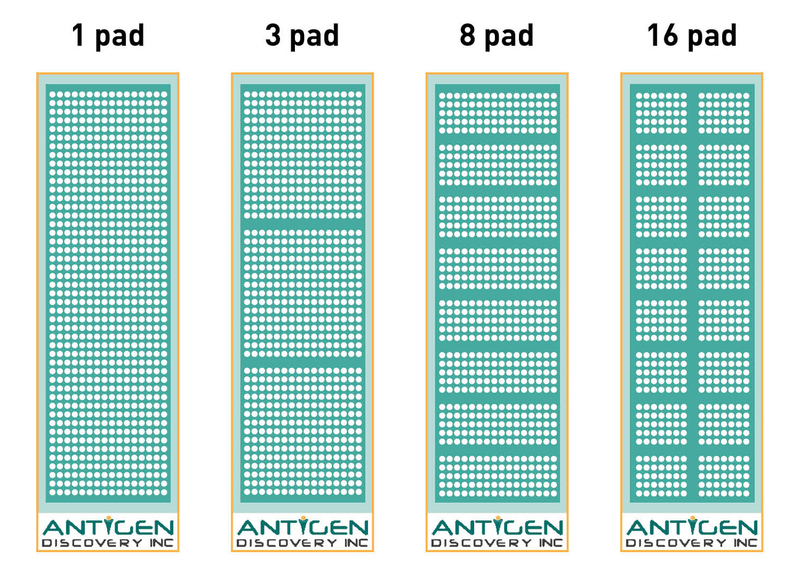 We offer multiple print layouts of 1, 3, 8 and 16 identical microarray pads per slide that can be modified to fit your needs. The slides are designed with a separation gasket allowing each microarray to be incubated with an individual biological sample, i.e. up to 16 separate samples can be analyzed per single chip. We are able to measure antibody responses to thousands of proteins in a single assay using a small volume of biological samples. This means that proteomic screening and antigen identification can be done in weeks instead of years with minute amount of samples needed. Our protein microarray platform is very versatile and can be fully customized. Learn more here. Depending on the print layout, 1, 3, 8 or 16 identical microarray pads per slide can be printed. Each array can fit from ~200 (16-pad array) to ~14,000 features (1-pad array). This allows you to screen the respective number of samples on each array. Protein array illustrating a differential antibody reactivity profile in an individual before (left) and after (right) infection. If you have any questions, please don’t hesitate to contact us at info@antigendiscovery.com. 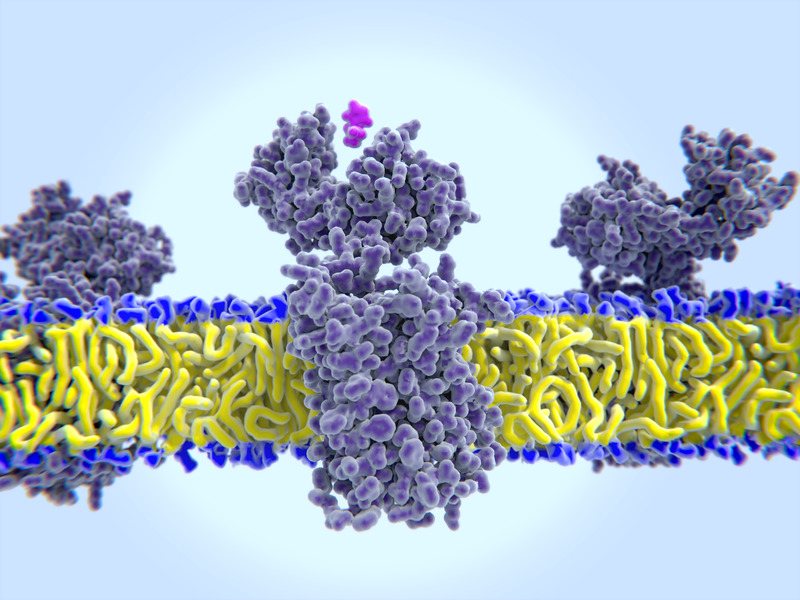 Diseases such as autoimmunity, cancer and immunotherapy adverse effects produce autoantibodies in a complex fashion targeted to many human proteins detectable in early disease progression (REF 1, 2, 3). Screening of autoantibody profiles in patient populations can be performed using the HuProt microarray for identification of disease markers. Example of human serum probed on HuProt microarray revealing differential affinity for human proteins. Zaenker, P, Gray, ES, Ziman, MR. Autoantibody production in cancer-the humoral immune response toward autologous antigens in cancer patients. Autoimmunity Reviews. 2016; 15:477-483. Michot, JM, Bigenwald, C,Champient, S, Collins, M,Carbonnel, F,Postel-Vinay, S, Berdelou, Varga, A, Bahleda, R, Hollenbecque, Massard, C, Fuera, A, Ribarag, V, Gazzah, A, Armand, JP, Amellal, Angevin, E, Noel, N, Boutros, C, Mateus, C, Robert, C, Soria, JC, Marabelle, A, Lambotte. Immune-related adverse events with immune checkpoint blockade: a comprehensive review. European J Cancer. 2016;54;139-148. Manufactured and recombinant cloned antibodies have shown variation and inconsistent reproducibility in research and clinical applications. Only recently, new regulatory standards have been proposed for screening antibody reagents to verify and validate single target specificity or target cross-reactivity of commercial antibody reagents (Uhlen, 2016, Nat. Methods). Our antibody target screening service provides specificity analysis and a quantitative scoring of any cross-reactivity of your antibody, insuring specificity and reproducibility of performance under a quality management system. A high-density protein microarray platform can be used to assess cross-reactivity of pharmaceutical therapeutic or diagnostic manufacturer’s antibodies with rapid turnaround and low cost. Specificity testing enables indication of off-target hits or cross-reactivity that may impact clinical efficacy and safety. 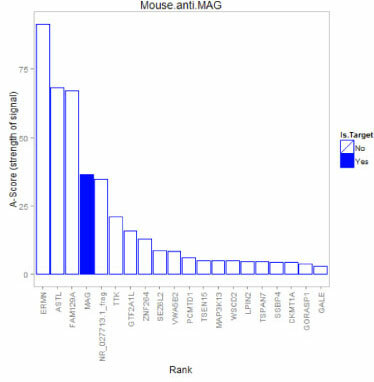 Bar plot and A-Score and S-Score analysis of top-10 hits for Anti-MAG monoclonal antibody. ADI offers the opportunity to collaborate on proteome-scale profiling of CD4 and CD8 T cell antigen specificity. With our partnering laboratory, we engage in research collaboration agreements, seek funding and perform studies on well-characterized cellular samples (e.g. PBMC). Our expansive proteome library allows for screening of hundreds to thousands of potential T cell targets. T cell studies are custom projects and can be tailored to specific mechanisms of interest, e.g. TH1/TH2/TH17 polarization, follicular helper T cells (TFH), etc. 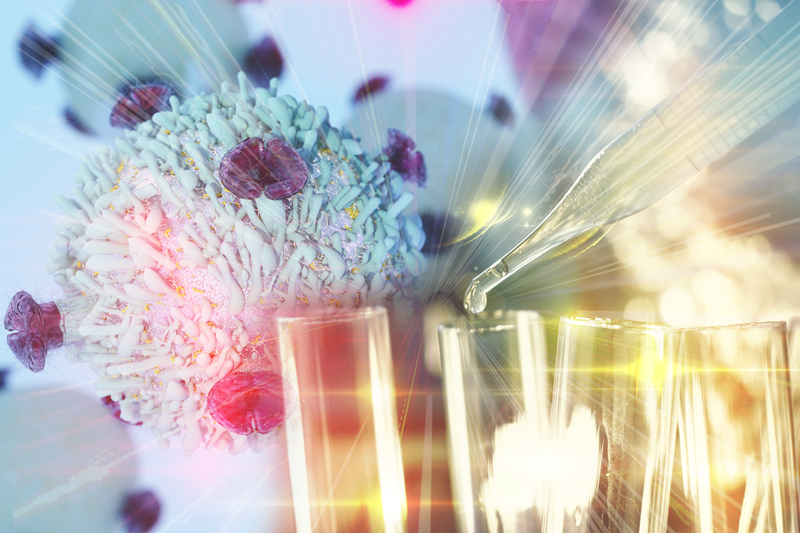 Learn more about our high-throughput T cell screening here. ADI is pleased to offer the opportunity to collaborate on proteome-scale ligand binding assays using our protein microarray platform technology, described in detail here. Ligands can be identified from any organism for which proteome microarrays are available or for which genomic DNA and sequence data are accessible for the construction of new microarrays. Molecules such as adhesion proteins from hosts (e.g. humans and animal models) can be screened on pathogen proteome microarrays to identify the binding microbial proteins, whereas microbial molecules, such as invasion receptors, can be screened on HuProt™ Human Proteome Microarrays to identify previously unidentified host ligands. ADI has developed a range of ELISA test kits for infectious diseases based on proteome microarray screening results. The ELISA kits are sold as RUO reagents and we currently produce ELISA kits for Brucella melitensis, Borrelia burgdorferi, Mycobacterium tuberculosis, HSV-I and -II, and two Orthopoxvirus kits used to distinguish between the DryVax and MVA smallpox vaccines. If you have any questions about our ELISAs or the pathway for product development and manufacturing please contact us. ADI utilizes a robust analytic workflow to ensure consistent procedures are applied to generate high quality protein microarray data. All of the laboratory steps are executed by trained technicians following well defined SOPs. All of the data processing and report generation steps are fully reproducible as they are executed by proprietary software developed and maintained at ADI. Statistical Analysis Plan. 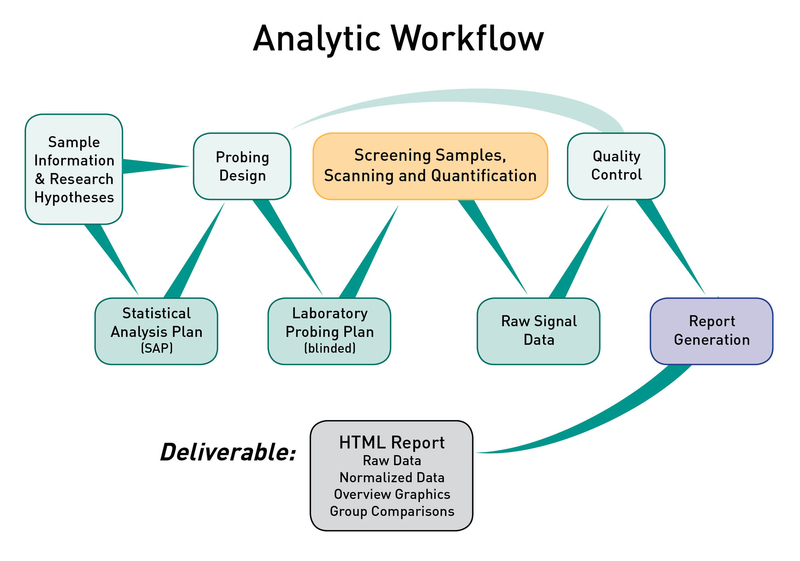 Once your project is initiated the analytic workflow shown in the graphic above will be executed by ADI. An ADI Statistical Analyst will review your research hypotheses and develop a Statistical Analysis Plan (SAP) for your review. The SAP is a technical document that describes all planned analyses that will be executed once the raw data has been obtained and passed QC. The SAP starts by specifying the primary hypothesis to be tested (as well as any secondary/tertiary hypotheses), then defines the specific statistical tests that will be performed and specific sample groups that will be compared. Probing Plan. After you have approved the SAP the ADI Statistical Analyst will utilize the sample information you provided to develop the experimental design (probing design) to ensure the integrity of the experiment with respect to technical variation. The probing plan is a technical document that describes precisely which samples will be probed with which arrays, and the plan will be provided to the executing technician. ADI software will be used to optimize the balance of technical factors (e.g. probing day, array position on slide, slide print order) against sample factors (e.g. infection status, age, gender). The specific sample factors will be defined in the SAP. The balancing of technical factors and sample factors minimizes the risk of making false discoveries based on technical artifacts. Project Execution and QC. The final laboratory version of the probing plan will be provided to the ADI technician with all sample information redacted except for what is required to identify the correct sample tube. The assay will be executed, data will be quality checked, then the SAP will be executed, and a comprehensive report will be generated. Bioinformatics and Statistical Analysis. ADI analysts have extensive experience analyzing and interpreting protein microarray data as well as data generated by other technologies. Specific analytic services performed by ADI include data normalization, statistics, linear/nonlinear multivariate modeling, combinatorial models, machine learning, cross-validation of multi antigen combinations, principal component analysis (PCA), data reduction and interpretation. HTML Report Deliverable. The ADI Project Manager and Statistical Analyst will walk you through the report and then send it to you electronically via the method of your choosing (email, DropBox, etc). The report will include raw and normalized data and will not be made accessible on the web, but only as a downloadable archive provided directly to you. The report will be generated by software wholly developed and maintained by ADI, which provides for reproducible analysis and easy extensibility and customization. An example report is accessible for your review here. This HTML report is an example of a key deliverable provided to ADI clients and collaborators. The report is organized with a home page that contains overview graphics showing signal distributions and heatmaps. The home page also provides links to specific analysis reports (e.g. group comparisons). ADI has developed software to automate report generation and it can easily be customized to handle the needs of specific projects. This framework for analysis ensures that results are reproducible, and updated versions of reports can be generated efficiently. Follow-up Services. After delivery of the initial HTML report ADI will perform additional analysis and generate updated reports to help you gain as much knowledge for your project as possible. ADI will provide publication support including generation of high quality graphics and drafting of manuscript sections. ADI will also support any effort you make to file IP based on discoveries made from your project. At Antigen Discovery Inc. (ADI) we are trying our best to adapt our platform to your need. Every project is unique and so are the solutions that we offer. 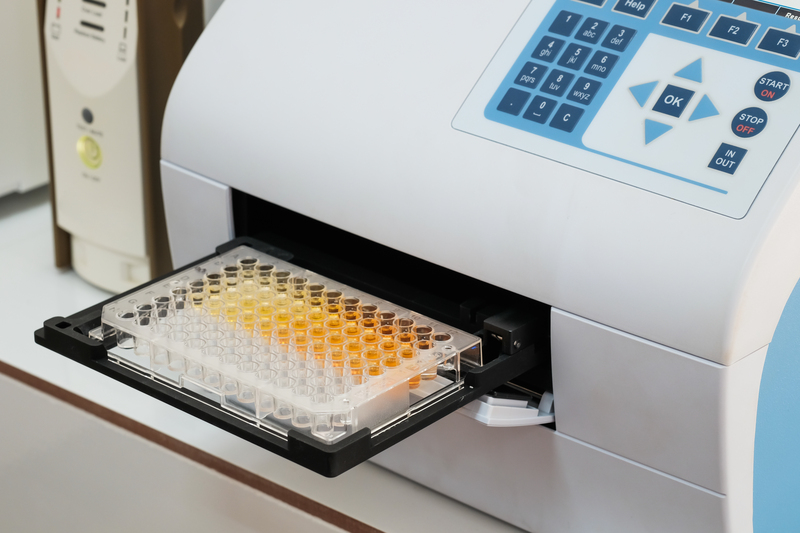 Our microarray platform is very versatile and can be fully customized to your needs and goals. We offer custom prints (minimal number of samples must be met) and can change the selection of proteins (full-proteome, partial proteome, down-selection) and even multi-pathogen arrays depending on your research goal. We are also happy to add additional features and controls like commercially available purified proteins, your own proteins, vaccines, extracts, etc. onto the microarray. Please contact us with any questions or requests you may have, we are happy to discuss your project with you and explain different options.